Arrowhead Gardens offers affordable apartment homes for active seniors. 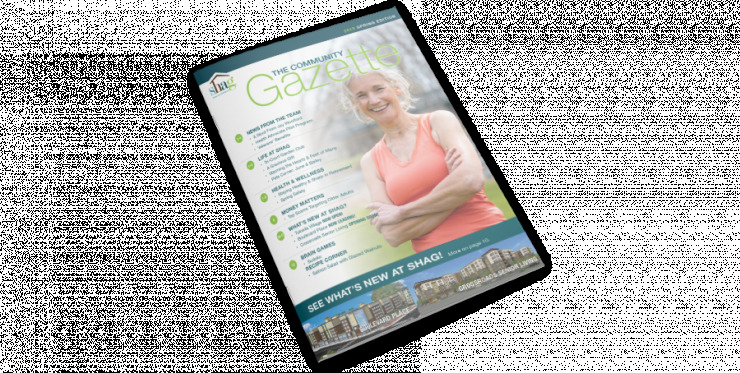 SHAG helps you get more out of life by building affordable senior housing that offers active senior living, a community of friends and a safe, welcoming home with an array of amenities. All of our SHAG senior living communities have income and/or age restrictions that residents must meet in order to qualify for an apartment. The age and income restrictions differ between communities. All member of the household must be age 55 or older AND at least one member of the Applicant's household must be age 61 or older by the end of the current year OR disabled. Each household member must provide documentation establishing their eligibility including, but not limited to, a government issued identification card. Each household member must have their age verified prior to completing an application. The application includes a credit and landlord reference check. Please note that a screening fee of $40 per person, and deposit, will be due at the time of the application. Resident screening to determine eligibility will be required for rent restricted units. The REA is completed to ensure that the total household income does not exceed the maximum allowable gross income for household size. All sources and amounts of current and anticipated annual gross income expected to be derived during the twelve months after move-in must be collected, verified, and reviewed by our Compliance Department to certify eligibility with the program. Reflects King County 2018 gross income and rent limits. Call (206) 462-4971 today to schedule a tour and experience affordable senior living the way it was meant to be.